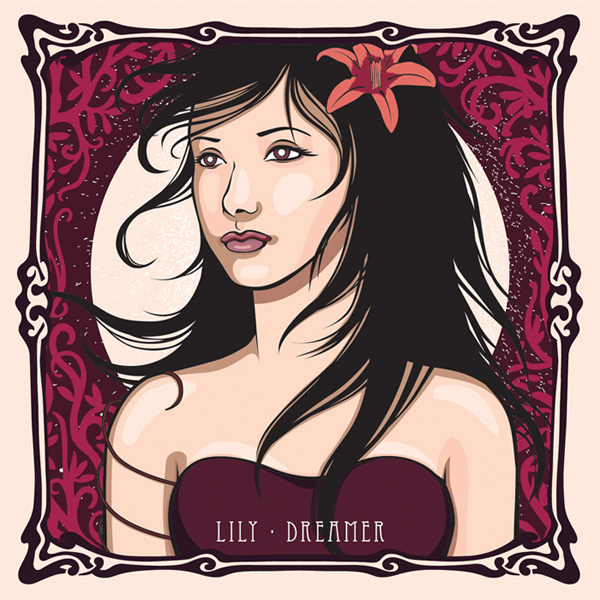 If music can be just like putting on a dress and each one has a different style, shape, colour and texture, then Lily is currently wearing a soft and flowing wine-coloured dress with a fitted bodice. Short and just a little bit left of centre, it’s a perfect Fremantle dress and equally perfect attire for the two songs the dark-haired, creamy-featured singer has recently recorded. In Dreams With You and Love Song 612 are two songs written by fellow Fremantle singer-songwriter Billie Reid. A prolific and sometimes highly political songwriter and poet, Billie is a bit of a recluse so local studio owner Darren Halifax wanted to make sure his work was heard. Darren purchased the rights to a collection of Billie’s songs, is recording them with a number of Perth singers and invited Lily to be one of them. Fuelled by Eurasian heritage, a lust to wander and a well-stamped passport tucked into that bodice, contemporary songbird Lily calls the West Australian port city of Fremantle home. When you hear these interpretations though, you’ll also wonder how big a piece of Nashville, Tennessee she carries. The 23-year-old’s recordings of Billie Reid’s songs are soulfully country and with an undeniable feeling and yearning for the coast. The songs from the project have allowed her to re-interpret the songs and let imagination rule. While there were originals of Billie’s to listen to, Lily got the chance to interpret each song in a way which resonated with her and spoke truth from a woman’s perspective. “Once we started working on the songs, where to take them became quite obvious. With 612, his sentiment is really something I could relate to, so it was really easy to interpret the lyrics in a meaningful way. In her heart, Lily is a girl bursting with stories to tell. Irrelevant of era, genre or format, the ability to tell a worthy story makes for a beguiling song. Like any good story – even someone else’s – the chance for Lily to tell it in her own voice is a truly beautiful and honourable thing. Lily can’t quite put her finger on which genre of music she loves the most though. Immersing herself in the vein-deep heritage of Nashville turned all musical notions inside out. Lily tasted and flirted with everything from stomping honky-tonk to angelically soulful country before answering the call of Freo, the mighty Indian Ocean and Billie’s songs. The singer made her debut at an end of year school performance. Frightened out of her wits, she sang Summertime from Porgy and Bess and absolutely loved the experience. Next stop was the school jazz band and she never looked back. Now with music by her side – and an ever-evolving wardrobe – Fremantle is the perfect place for Lily to take a deep cleansing breath and open her musical heart to Billie Reid’s songs.